Spotlight On: Fox Den Studios. Sheffield Music Scene. Kelham Island is one of Sheffield’s oldest industrial districts, but new businesses have sprung up in recent years, leading the quarter to become one of the fastest growing areas in the city centre. One such business is Fox Den Studios. 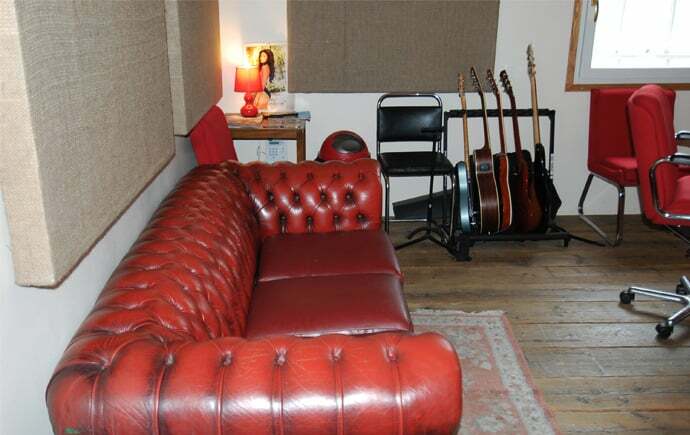 Nestled away on Mowbray Street, the recording studio was established in 2014 by young producer George Moran. Fox Den has already attracted an impressive clientele, with the likes of High Hazels, Howls and Tom Rowley, amongst many others, recording there. A passionate musician himself, George performed backing vocals and rhythm guitar with Miles Kane and was a member of highly rated Sheffield indie band Mabel Love. He is currently working on two of his own albums, which he is producing himself. His background in music and experience of being in an unsigned band helps to give Fox Den an authentic edge, in which a close working relationship between producer and band is prioritised. 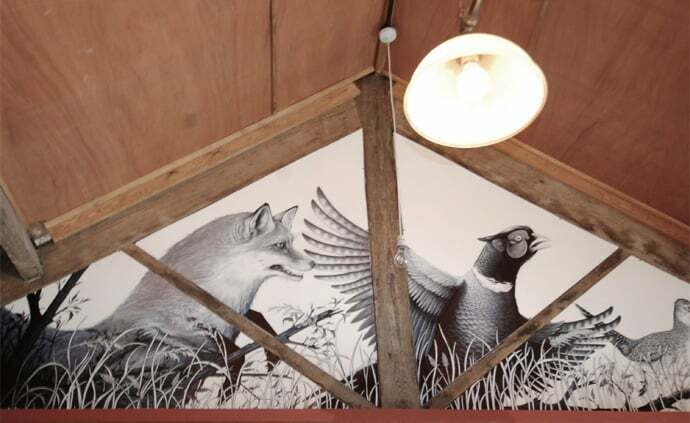 We caught up with George to talk about his new venture and what the future holds for Fox Den. 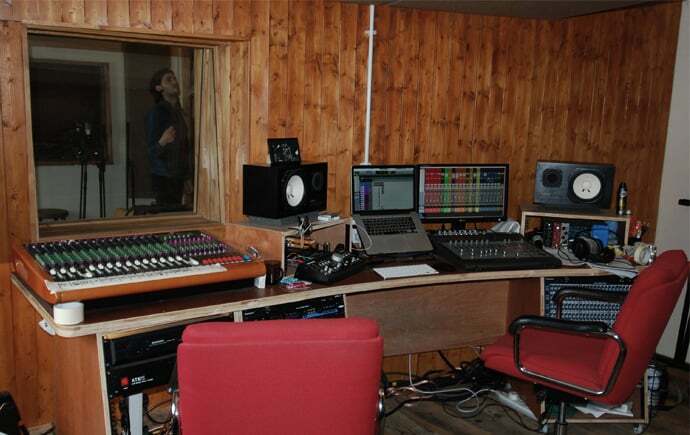 So George, have you always wanted to set up your own studio? Yeah, probably from the age of about 20 or 21. First of all, I got interested in recording, and I started learning about it and buying bits of equipment. I realised that it costs a lot of money to record, especially if you’re an unsigned band, so I thought, if I buy the equipment, it’ll save money long term. So I came up with the idea of having my own studio, but I didn’t think I’d have it this soon! I thought it’d be when I was in my 30s or something. How much work went into setting it all up? Just by chance, I got offered this building. I just jumped in two feet first. I pretty much did it on my own. I got my mates in every now and again to lift heavy stuff and I paid them back in pints. It was eight months of work. It was like Grand Designs but when it takes three times as long and costs three times as much. It took all my spare time in between touring. I’d come back from a tour, then I’d have two weeks off and I’d just come in here and start ripping it to pieces. Yeah, I was very mucky for a couple of months! What sort of space did you want to create? I’ve been in loads of studios over the years so I kind of hand-picked bits that I liked from some and made sure I avoided things that I didn’t like from others. I wanted it to have natural light. I wanted it to have a definite feel, a lot of wood, so wooden floors. I wanted it to feel like a little den, hidden away; like you’re all in your little den working together. When there’s a good vibe to the place, you can work better. Everyone’s general reaction has been that it’s just a really cosy, cool little place to be in. Everyone feels comfortable here. So what services do you offer at Fox Den? I like to write with bands, which a lot of studios don’t offer. So there’s that side of it but there’s also production, recording, mixing. I want it to be a place where bands come and take their time over it; they don’t have to rush their record in here. I don’t want to profess that I’m better than anyone else or anything – because there’s some great studios in the city – but from my own experience and the frustration of being in an unsigned band, I think that I offer a slightly different service in that I always try and get in the room with the bands before they come in. I do pre-production for no extra cost. I think, really, a producer becomes like a fifth member, you have to really get in with the band, create a good relationship with them and get on the same page with them. And I always mix for free as well. You’ve got some pretty impressive equipment here, too! I’ve got a Pro Tools rig, so it’s all kind of based around that. 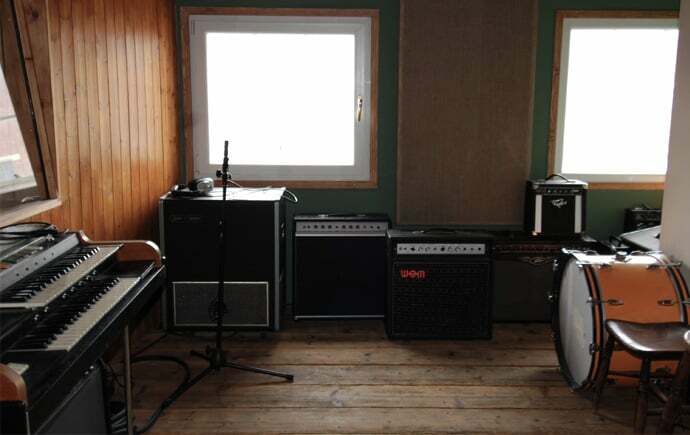 I’ve got a lot of vintage gear: amps guitars and stuff. 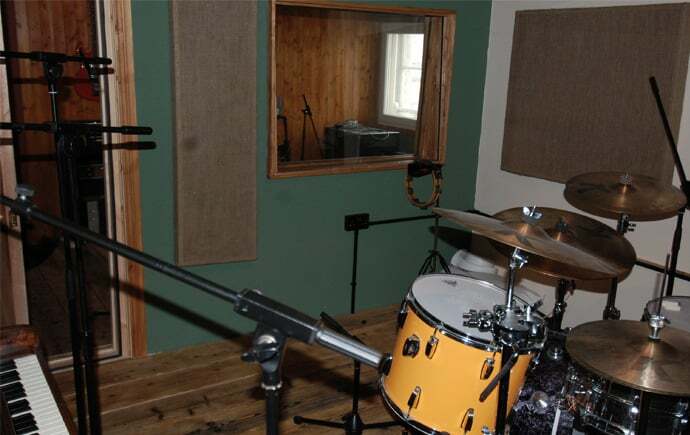 A lot of unsigned bands don’t have a lot of money, so they don’t have good equipment and if you turn up with a rubbish sounding drum kit, no matter what the producer does it’s going to sound rubbish. I’ve set it up so there’s everything here. 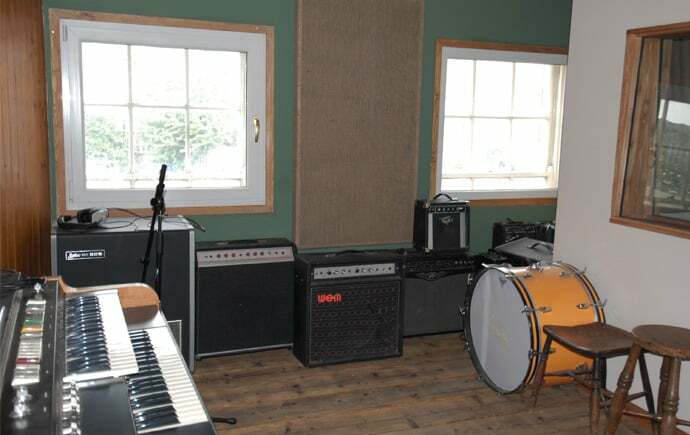 There’s a few really nice drum kits, there’s organs, pianos, guitars and amps so bands can turn up with nothing and they’ve got good gear to use; it’s all here and ready to go. A few at the minute. There’s a band called Every Animal On Earth and they’re sort of on the last legs of their album; Tom Rowley has done three tracks so far, and that’s sounding really good; there’s also a great band from Leeds called Cry Baby Cry. I’ve also got a band coming in for a writing session tomorrow, and then another local band called Sonik Seeds are in over the weekend. Out of everyone in the music industry, who would be a dream client to work with? If there was anyone I could work with, I’d say someone like Jack White! But I want to work with bands long-term – that’s the plan. 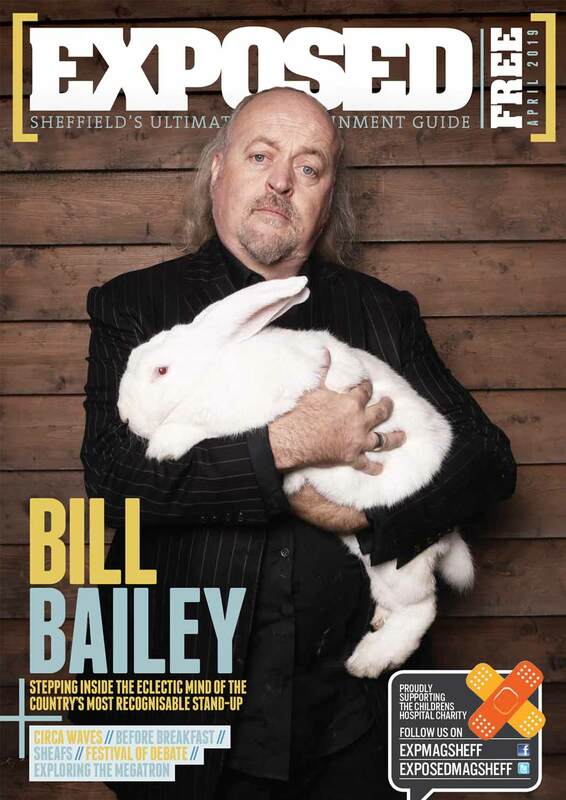 What do you think is special about Sheffield’s music scene? I feel like it’s on its way back up as there are some really good bands about. They’ve all got individual sounds now, whereas four or five years ago everyone sort of sounded the same. For me, we’re more working class than a lot of other cities. A lot of music comes out of London, and they just don’t have this thing that’s ingrained in Northern people where we’ve grafted for what we’ve got. I’m not saying everyone’s like that, but a lot of bands, especially bands who’ve got signed, are just posh London boys, and mum and daddy can fund them for a few years. But Sheffield doesn’t tend to be like that. Everyone has to earn their own spurs in a way. What do you see happening with Fox Den Studios in the future? I’m still on the look-out for other bands and artists to work with long term. 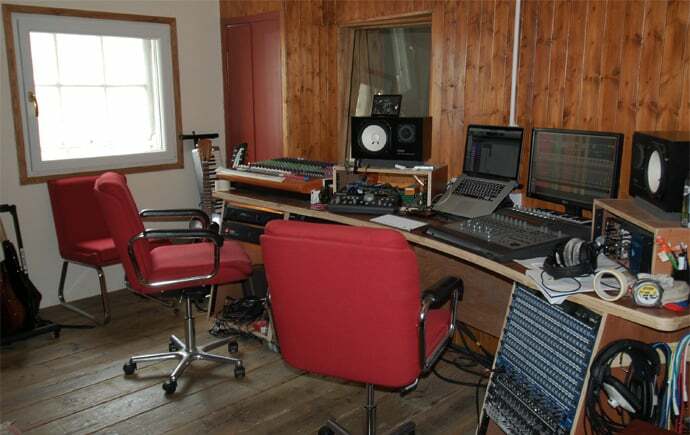 If anyone wants to come down and see the studio, just get in touch.